You know, I have heard this strategy before and it seems potent. I’m doing something a little different with affiliate programs and time will tell if this works out. And the strategy I’ve taken on is to list ALL of the LIVE!Internet Marketing Seminars in the world. I’ve got over 100 on record, from all over the world, spanning the next 12 months. Some of these have affiliate program and some of them don’t. I am listing them all in any case. These events, though they may happen annually, are somewhat ephemeral (they last briefly) and so it would be difficult to do them individually as you suggest. This has built in ‘scarcity’ however as it’s over when it’s over. My aim is to become known as a resource for all LIVE! events in this market. The interest in online marketing is growing which is a plus for me. By listing all of the LIVE! events, I’m hoping people will come back because they can rely on my research and find something local, at the right price and the right level. While this will bring in multiple affiliates, it is all the same/similar topic. These programs are a little different as well – the payouts are usually quite high and not too many people are participating. Perhaps this is due to the nature of them. These aren’t ebooks where you can promote them and tweak the sales page every day – I gotta make an impact and make it fast! Can you tell me if something like this is going to work or not Armand? Thank you for this great post Armand. I’ll be sharing this with my readers as well because trying to go ‘wide’ is a common mistake made by those new to affiliate marketing. Your advice provides immense value every time. I completly agree that this is one of the best ways to make money out of the internet. All too many people seem to think that it’s really easy to get money on the internet, whichever route you take it needs a lot of effort! I used the 6 part mini course from Tim-Warren.com which has some interesting ways to make more money from the internet. Fantastic blog, will certainly get added to my bookmarks! Affiliate Marketing is the best way to get into the Internet business working from home. I could’t agree more. Also, the secret to affiliate marketing is that there isn’t any secret. Just like anything else in life, it takes dedication and hard work. Start with a NICHE’ that isn’t so large, so you don’t have to compete with the big boys. Once you get that working, expand to another and then another. Great blogs in this site! Great advice , Armand! I have just started as an affiliate marketer and have been somewhat overwhelmed with trying to decide how to begin. There are so many attractive niches out there to get involved with in marketing that I have been thinking “How in the world do I find the time to market them all and make gobs of money?” The answer is obvious ; I don’t. Your advice just confirms the conclusion I came to; that is , just pick one and concentrate on that until I gain experience and profitability. Then , if I do well in that one thing I can expand slowly into other areas. By working in just one area I can work on developing marketing skill sets (article writing , blogging ,driving traffic, adwords ,etc.) in one area about which I am passionate and knowledgeable. There is a lot more to this affiliate business-and it is a business-than one might think. It takes far more effort than just joining a free affiliate program and sitting back waiting for the dough to roll in. I am very excited about the prospect of learning new skills and applying them. Thanks again for your advice! 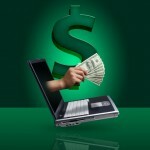 Great article on Affiliate Marketing.I really learn a lot here.